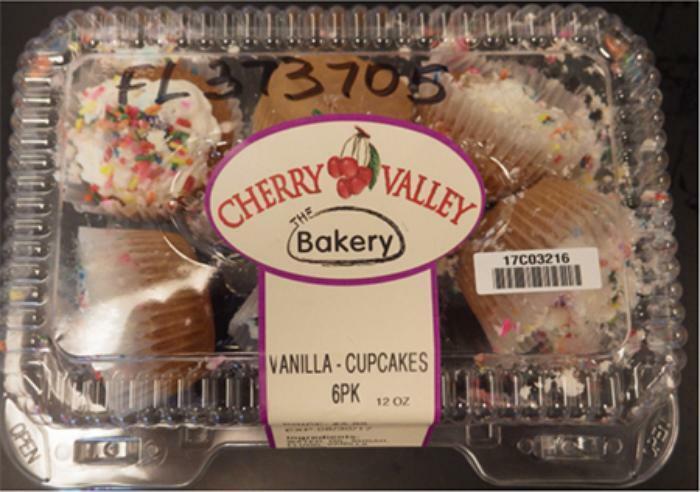 Cherry Valley Marketplace of West Hempstead, N.Y., is recalling Cherry Valley Vanilla Cupcakes and Cherry Valley Chocolate Cupcakes. The recalled products come in 12-oz., clear plastic packages marked with barcode # 00004961147 and # 00004961130 with an expiration dates of 09/20/2017 and 09/30/17 stamped on the top. They were sold in New York, New Jersey and Connecticut. Customers who purchased the recalled product should return them to the place of purchase for a full refund. Consumers with questions may contact the company at 516-292-2090.